If you are an RDI consultant or a family doing RDI with your child you know these three words very well. You may even know them as the GPR. Regardless the concept is very important to the methodology of a good Relationship Development Intevention (RDI) program. As a matter of fact it is a very important concept to all of us. Those of us who are parents use it without knowing and our parents used it when we were children. You might even use it at work or someone might use it with you at work. The truth is that the GPR is a Univeral Concept meaning that you can find it in any culture from the most modern to the most primative. The Guided Participation Relationship can be found in many books on developmental processes and how learning takes place. It pulls together the concept that for learning to take place there needs to be a teacher or a guide and an apprentice or a student. That is not all you need however. The student must trust that the guide will not make things to difficult for him/her. The guide must get feedback from the student so that they know how to adjust their teaching. From there the guide has to be skilled in transferring information to the student so that the student can take ownership of the new skills. It all really sounds complicated and you are correct to think that. The interesting thing is that as complicated as it is; we as humans take it for granted. To make it easier paint the picture of teaching a child how to walk. If you are a parent or grandparent even you can remember a few things about teaching your children to walk. You did not sit your child in the middle of the room and tell them to walk. Your child did not go from laying flat to walking. There were things that you examined without even knowing it. There were pre-requisite skills your child needed before you would trust them with this task. For you as a parent it was simply a rush of endorphins as you held on tight while the first little step was attempted and sink or swim you were there to assure your little one that they were doing a good job and that they could keep going. From that first tight grasp you watched like a hawk and what you were really doing was waiting for that feedback to know how to adjust your support until one day you were letting go of that last little finger and your child took over the skill and ability to walk as you cheered them on. If it is possible for something to be simple and complex at the same time this process known as Guided Participation is just that. Now moving into the field of Autism Spectrum Disorders and being a parent you know all too well that at some point along the way this system broke down between you and your child. You have lost the process of learning that you once controlled with your child and it is devistating your family. This is not the answer to curing autism but it is the key for true learning to take place. I could go on about the breakdown that occurs for a family when the Guided Participation Relationship is not in place for a child and their parents but I think many of you have already experienced that. The important thing is that it can be re-established. It takes time and hard work but this downward spiraling path can be averted and moved to first a steady forward path and soon an incline. I know this subject can be very difficult for many families so I will leave it at that. In our next posts we will discuss guiding moments and apprenticeship moments and reflect on personal experiences that will help this make more sense. I have been a certified consultant in the Relationship Development Intervention program since 2009 and started my training to be a consultant two years before that. As a consultant participating in the RDI program I am always happy to share my excitement with just about anyone who will listen. I have effectively treated families with autism, angelmans syndrome, and others with RDI. One thing that I treasure about the RDI program is the Family Consultation Program (FCP) which I believe is unique and a wonderful resource for families. The FCP is an amazingly organized system that will allow both the certified consultant and parent easily follow initial steps in the RDI program. Before I get into how the FCP will benefit you I think it is important for all parents to think about the dream we all dream… The Manual, you know that parenting manual we all want that will tell us what to do. The one that will give us the answers on how to do our best. How would you feel if you could get that manual and support with it being as unique and individualized as possible for your child and family? I think as parents when we are asking for a manual we are really just asking for some guidance or a way to know that you are not making the wrong decision about teaching your child. There is a very special thing that bonds parents all over the world and that is guided participation. Besides sounding warm and fuzzy guided participation is a very complex system that we use as parents to teach our children. The easiest way for me to think about this is in terms of teaching your child how to walk. When you first realized your child was ready to walk you did not set them in the middle of the room and let them go. You had this natural instinct to hold on tight and show them how to takes steps. From there you started slowly loosening your hold and allowing your child to take over this process. If you really stop to remember the time when you did this with your child it is a beautiful process. One that we take for granted and this always breaks down for parents of children with autism. The most important single thing you can do is restore this process and that is where the FCP comes into place. The Family Consultation Program is the beginning of any RDI program. It is the set of steps a parent must take to become a better guide to their child regardless of their ability. It outlines the identification of areas where as parents you can embark on the changes necessary to be the best you can as well as the things that could be impacting your child. In life and the RDI program we typically describe these things that are impacting us as obstacles. Obstacles can be anything from your child’s behaviors and speech needs to parental time management and communicative resources. In the FCP a certified consultant guides you through identifying areas of concern and sets you up for success in the RDI program. You learn what it takes to be a good guide to your child and the steps that will help get you there. You get to make mistakes and have someone help guide you through those mistakes. Even more important you get a second chance at being the best parent you can be. All of this within the individual culture of your family and without impacting the unique and special qualities of your family. Now back to that manual you have been asking for. To learn more about RDI and how the Family Consultation Program can benefit your family please contact me, Marija Savitt, M.A. at 1-619-886-0159 or email me at GuidedSpectrum@gmail.com. 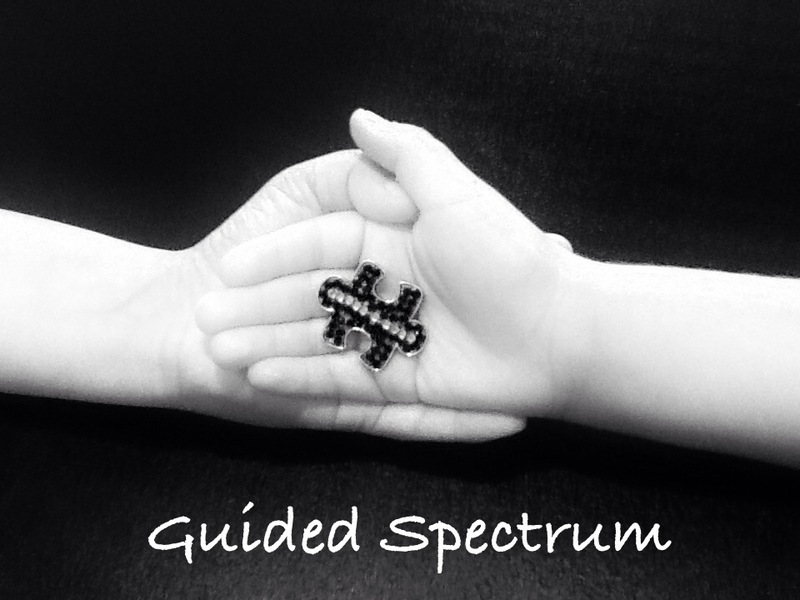 Guided Spectrum is a new agency based in San Diego, CA. We specialize in services for children with autism spectrum disorders including relationship development intervention, pivotal response treatment, and child assessment. We are very excited to become a part of the ASD community and not only share about our services and helpful tips but also provide information about the various resources that are available in San Diego county. We hope that our blog becomes a safe place for you to interact, comment, and ask questions about all things children, autism, and special needs. Our first task is to develop blogs that will give you basic information about the services that we provide. Aside from that we welcome your ideas and interests so that we can serve your needs. To contact us directly you can email us at GuidedSpectrum@gmail.com, call us at 619-886-0159, or find us on facebook at http://www.facebook.com/GuidedSpectrum.